The former "head" of Yalta, Andrei Rostenko, who was previously accused of illegally appropriating land on the South Coast of Crimea, became the curator of the Federal Target Program for the development of the Crimea and Sevastopol. Crimean “Vice-Prime Minister” Vitaly Nakhlupin published in his Instagram a photo from the meeting of the Coordination Regional Headquarters for the Implementation of the Federal Program. The photo shows that Andrei Rostenko took part in the meeting. Crimean public figure Aleksandr Talipov in his Facebook confirmed that the “ex-mayor” of Yalta became the curator of the Federal Targeted Program. Andrei Rostenko was detained on May 22 at Sheremetyevo Airport in Moscow when he was returning from Copenhagen. He was accused of abuse of office as the "head of Yalta" for the seizure of 26 acres of land near the sanatorium Beketovo in the city of Alupka in favor of Yalta. 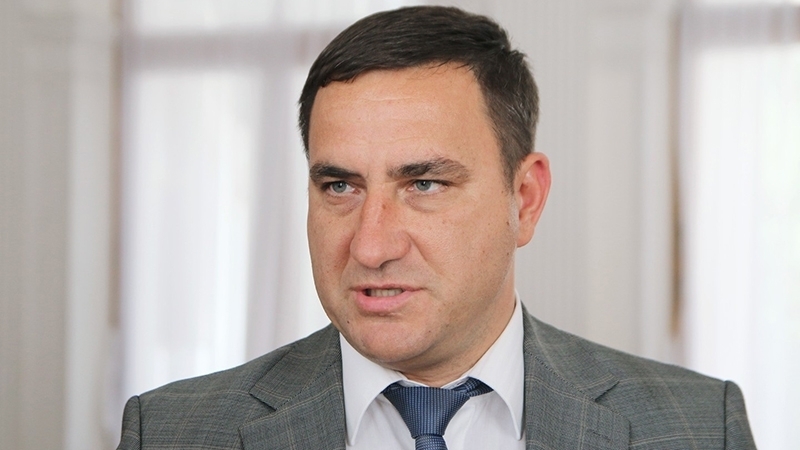 After Rostenko was detained, the Kremlin-controlled head of the Crimea, Sergey Aksyonov, intervened in the case - he petitioned for Rostenko to be released. Reportedly, the Russian government extended the Federal Target Program for the Development of the Crimea and Sevastopol for two years - until 2022. The Russian government has repeatedly made amendments to this program, the last time - in January 2018, when the costs of developing the annexed Peninsula increased by 11.77 billion rubles to 837.17 billion rubles.